Don't even think of celebrating the Kentucky Derby without this traditional cooler, the mint julep. 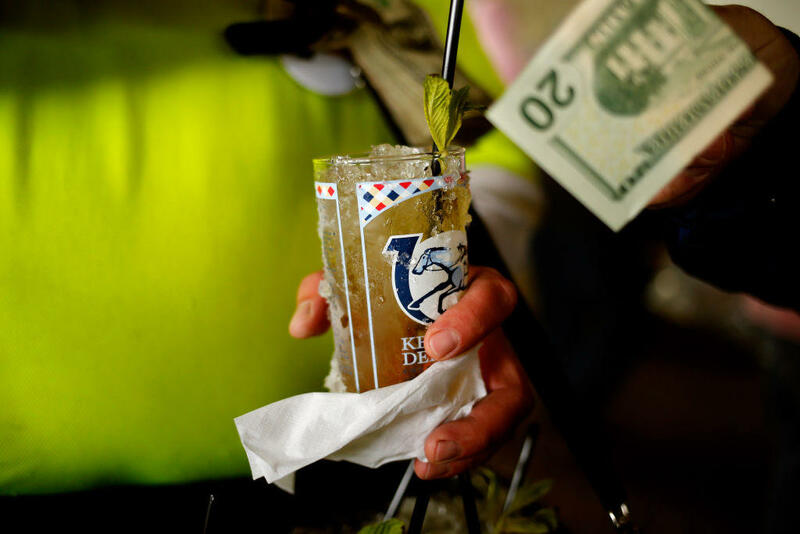 If you can't make it to Churchill downs, use one of these recipes for the customary beverage while you watch the Kentucky Derby. In general, "julep" refers to any sweet drink made with a mix of various liquors, water and sugar. The mint julep is made with plenty of fresh mint, bourbon, simple syrup and shaved or crushed ice. Traditionally, mint juleps were served in silver or pewter cups and held only by the bottom and top edges of the cup, enabling frost to form on the outside of the cup. "Real mint juleps are dry, not overly sweet, which makes them the perfect summer cocktail," said chef Eric Hara of the Oak Room in New York City. "Being outside in the hot southern heat, a mint julep is cooling and refreshing." There is a debate about the best way to incorporate mint into a mint julep. Some bartenders muddle it with sugar, others combine it with simple syrup and some infuse the simple syrup with mint. Muddle mint and sugar. Add bourbon. Top with soda water and serve in a silver julep glass. Serves one. Combine a shot of bourbon, a few teaspoons of simple syrup and several mint sprigs in a mint julep cup and muddle with spoon. Add shaved ice and more mint. Serve immediately. Serves one. Jason Littrell, with Death & Co. in New York, gently rubs the bottom of the glass with mint by using a muddler, and rubs the inside of the glass with muddle mint as well before removing it and adding the simple syrup, bourbon and ice. He also garnishes with a large amount of mint - which he thinks should be more smelled than tasted. For proper technique, watch Robert Hess (one of the founders of The Museum of the American Cocktail) demonstrate how to make a mint julep on the Small Screen Network. Hess muddles the mint lightly with simple syrup - too much muddling and the mint becomes bitter - and finishes the drink off with a light dusting of powdered sugar. In a mint julep cup or heavy bottom glass, gently muddle mint and simple syrup. Add crushed ice and bourbon, stir. Top with ice and a sprig of mint. Once the lime is gently muddled and the mint is bruised, add the rest of the ingredients, ice and shake and strain into a julep cup with crushed ice. Garnish with a mint sprig. Serves one.